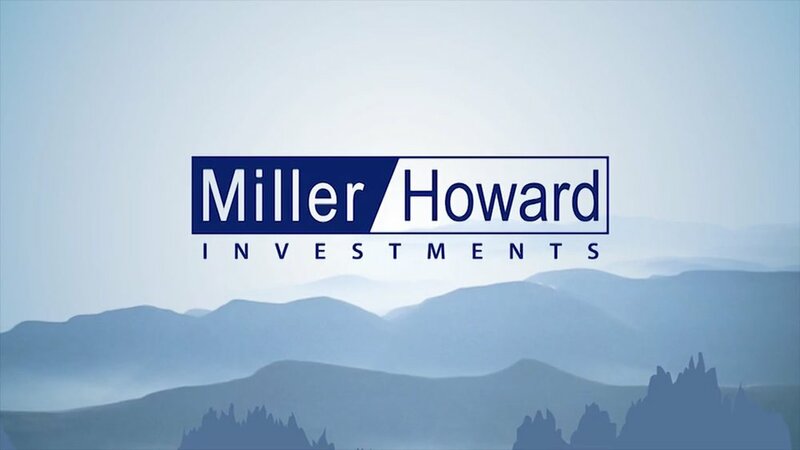 The Woodstock Film Festival is made possible in part with sponsorship from Miller/Howard Investments. The 18th Annual Woodstock Film Festival is now open for submissions. Film categories include narrative & documentary features, shorts, animation, music videos, and teen films. The early bird deadline has recently passed, however, there is still time to submit our next fast approaching deadline on May 14. Submit your film now before the price goes up! The Woodstock Film Festival and the Hudson Valley Film Commission continue to be acknowledged for their countless contributions to local Hudson Valley communities. We are very happy to announce that the Woodstock Film Festival is this year's recipient of Arts Mid Hudson's Art Organization Award. We will be in good company, together with Norm Magnusson (Art in Public Places award), Katharine McKenna (Patron), RUPCO (Business) and others. On Tuesday, June 6 this event will take place at the Saugerties Performing Arts Factory. Cocktails and hors d'ouevres will be served alongside a silent auction; followed by a sit down dessert and awards presentation by Ulster County Executive Mike Hein. We are very much so looking forward to this event. We thank the panel at Arts Mid Hudson and Mike Hein for this recognition. Professor and longtime friend and collaborator of the festival, Gregg Bray, and Laurent Rejto, co-founder of Woodstock Film Festival and Director of Hudson Valley Film Commission. The SUNY New Paltz Internship Program has recognized the Woodstock Film Festival and the Hudson Valley Film Commission for their valuable contributions to the program. Over the years the Woodstock Film Festival and Hudson Valley Film Commission have had countless motivated interns from SUNY New Paltz. It is an honor to be recognized as an organization that benefits its interns and we are proud to say how valuable these interns have been to both the Woodstock Film Festival and Hudson Valley Film Commission. Past SUNY New Paltz interns include: Elias Moor, Kevin Fagan, Bridget Dawson, Alana Davis, Evan Thomas, Casey Silvestri, Rachel Wells, Brendan Roode, and Matt de Bara. Evan Thomas is now the Operations/Office Manager and Intern Supervisor for the Woodstock Film Festival. Evan explains his time at Woodstock Film Festival as"Very rewarding. My internship with the Woodstock Film Festival was a wonderful experience and I learned so much. I met many well-connected and established professionals, many of whom I am still friends with. It’s great to be here at the Woodstock Film Festival so that I can empower future interns to excel by giving them similarly rewarding experiences and training that I received back in 2015." The Woodstock Film Festival is now accepting applications for summer, fall and summer into fall internships. Please apply here. The Woodstock Film Festival is excited to announce that we have two new board members. We would like to extend a warm welcome to our newest members, David Baldwin and Neil Howard. David Baldwin has spent most of his career at HBO and Starz. Prior to working at either company he taught elementary school and was a children’s librarian in the New York City public school system in the Ocean Hill/Brownsville and Bed-Stuy sections of Brooklyn. David began his career in television as a research analyst in commercial broadcast TV before moving to Home Box Office in 1978. He first rose through the research ranks and then transferred to the Director position in Program Scheduling. After 31 years, numerous promotions, and with several departments under his leadership, he left HBO. Around a year later, his former HBO CEO Chris Albrecht asked him to consult at Starz Entertainment. This quickly transitioned to a full-time staff position as EVP Program Planning. In December 2016, David retired, immediately prior to the Lionsgate acquisition of Starz. Neil Howard is the new proprietor of the Colony entertainment venue in Woodstock. Originally from San Francisco, he has worked as a performer, producer and technician in the music, theatre, film, and voiceover industry for over 25 years on both the East and West coasts. Neil also has a keen interest in independent film-making, and has worked as an actor-on-call at the School of Visual Arts in NYC helping new filmmakers realize their potential. In 2010, Neil completed NYU’s Film School Intensive course, and filmed his term project in his new hometown of Woodstock. As for music, Neil is a singer-songwriter who performs often at NYC’s Bitter End and other venues. The Woodstock Film Festival hosted a special free screening of THE PROMISE on Saturday April 15 at Upstate Films in Woodstock. Producer Bill Horberg attended for Q&A following the screening. This was a unique opportunity to see the film prior to its theatrical release on April 21. This historical drama/romance is directed by Academy Award winning Terry George and features Oscar Iaac, Charlotte Le Bon, Christian Bale, and Shohreh Aghdashloo. Terry George's film RESERVATION ROAD was screened at the 2007 Woodstock Film Festival. The event was an incredible success with a full house of audience members who watched it transfixed, many moved to tears. Following the screening, in conversation with Woodstock Film Festival's executive director Meira Blaustein, producer Bill Horberg talked about the impetus of the film, which was the lifelong mission of its financier, Kirk Kerkorian, who has always wanted to bring the story of the Armenian genocide to the world, and who passed before production started. Attending audience member Dyan Machan, journalist for Barron and The Wall Street Journal, following the screening commented: "The film was a tour de force, rapturously filmed and acted. I wanted to rush home and dig into the history that too many have forgotten; Christian Bales as a journalist in the Indiana Jones tradition is my new hero. Wow. A coup for WFF. Plus you could not help see the parallels in today's refugee crisis and an increasingly totalitarian regime in Turkey." Bill talked about what it was like to make such an epic film, similar in production to DR. ZHIVAGO and GONE WITH THE WIND, and compared it a bit to his work on COLD MOUNTAIN. He also talked about how historically accurate the film was (while the love triangle was fictionalized to bring the tragic story of the genocide home). The audience called for Bill to bring the film to high schools so that students can be educated on this part of often unspoken history. We would like to thank the film's casting director, Avy Kaufman, for attending, and we also thank Bill for making the film and bringing it to us. "Set during the last days of the Ottoman Empire, The Promise follows a love triangle between Michael, a brilliant medical student, the beautiful and sophisticated Ana, and Chris - a renowned American journalist based in Paris." William Horberg, Meira Blaustein and Avy Kaufmann at the special screening of THE PROMISE. The Woodstock Film Festival has two notable events coming up in Summer 2017, the 5th Annual Taste of Woodstock and the 5th Annual Spirit of Woodstock. Both events highlight the fine culture of Woodstock while simultaneously raising funds to help support the important contributions that Woodstock Film Festival makes to the arts and economy in the region. On Wednesday, May 24, the 5th Annual Taste of Woodstock will celebrate the culinary diversity and delicacies that the region has to offer. Over 20 restaurants and hosts are set to participate including A&P Bar, Bistro-To-Go, Bread Alone, Calmbucha, Catskill Mountain Pizza, Cheese Louise, Cucina, The Green Palate, Landau Grill, Maria's Bazaar, Nancy's of Woodstock Artisanal Creamery, New World Home Cooking, Oriole 9, Peace Love & Cupcakes, Santa Fe Woodstock, Sunflower Café, T Salon, Woodstock Meats, Woodstock Wine & Liquors, Yankee Folly Cidery, and Yum Yum Noodle Bar. *New participants will be added as they join. Cocktails and hors d'oeuvres (catered by Black-Eyed Suzie) will be served and attendees can stroll the grounds while mingling with and hearing from the honorees. LEFT ON PURPOSE has been nominated for NewFilmmakers Los Angeles Best of NFMLA Award. This compelling documentary had its world premiere at the 2015 Woodstock Film Festival. Director Justin Schein and co-director David Mehlman attended the festival and participated in the Q&A. LEFT ON PURPOSE was the winner of the Audience Award at the 2015 Woodstock Film Festival. We would like to extend our congratulations to our long time friend, animation programmer and filmmaker extraordinaire, Signe Baumane, on her recent John Simon Guggenheim Memorial Foundation Fellowship Award. Signe Baumane has made significant contributions to the Woodstock Film Festival since the very beginning. She worked for the Annual Animation Spectacular and has had several films featured at the Woodstock Film Festival over the years. Signe Baumane's new Animated Feature Film, MY LOVE AFFAIR WITH MARRIAGE, is in production. We are incredibly grateful for all of her time and commitment to the Woodstock Film Festival and wish her great success in this new endeavor. We would like to congratulate the team behind THE DROWNING on their recent acquisition. The film will have its U.S. theatrical release on May 10 at 9 p.m. - 12 a.m. at the IFC Center in New York City. THE DROWNING screened at the 2016 Woodstock Film Festival to an ecstatic audience, and director Bette Gordon and producer Jamin O'Brien were on site to answer questions from the audience following the screening. The film also recently won Best Dramatic Feature at this years' LA Woman's Film Festival. "A psychiatrist faces his past, present and future when he finds himself involved in the treatment of a young man recently released from prison for a murder committed when the boy was just 11 years old." The celebrated three part music documentary, AMERICAN EPIC, is set to air in the U.S. on PBS on May 16, 23 and 30 at 9 p.m. (check local listings) and in the U.K. the episodes will air on BBC in May. AMERICAN EPIC had its New York premiere at the 2016 Woodstock Film Festival. AMERICAN EPIC is executive produced by Robert Redford (who also narrates the film), T Bone Burnett, and Jack White. The film is directed by Bernard McMahon and produced by McMahon, Allison McGourty, and Duke Erikson. A companion book will be released May 2, followed by a May 12 release of a 100-song box set of music highlighted in the documentary. THE AMERICAN EPIC SESSIONS will air in the U.S. on PBS on Tuesday, June 6 at 8 p.m. (check local listings) and in the U.K. on BBC in June. AMERICAN EPIC will be available on Blu-ray and DVD on June 13 from PBS Distribution. The series will also be available for digital download. Be sure to check out this incredibly informative and entertaining series, and visit their Facebook page for further updates. Allison McGourty signing in at 2016 Woodstock Film Festival. Several films with ties to the Woodstock Film Festival are now available on demand, DVD or pre-order, making it possible to access these incredible films at any time. THEY PLAYED FOR THEIR LIVES recently aired on PBS on April 4. The DVD is now available to purchase. THEY PLAYED FOR THEIR LIVES screened at the 17th Annual Woodstock Film Festival and featured a special live music performance from survivor Frank Grunwald. "Holocaust survivors, whose musical talents saved their lives during one of mankind's darkest days, now use music to inspire and teach the following generations to play music and never forget." Frank Grunwald giving a live performance at the 17th Annual Woodstock Film Festival. THE TICKET, opened in theaters and on demand April 7. It is now available on iTunes, Amazon Instant Video, VUDU, Google Play, Xbox Store, and PlayStation Network. The film was filmed in the region with the help from the Hudson Valley Film Commission. Additionally, the producer, Oren Moverman, has been to the Woodstock Film Festival with several films, including THE MESSENGER. He also was the 2016 Woodstock Film Festival Fiercely Independent Honoree. "A blind man who regains his vision finds himself becoming metaphorically blinded by his obsession for the superficial." LITTLE BOXES, which screened at the 2016 Woodstock Film Festival, opened April 14. It was also featured in a special free screening for local high school students through our YOUTH INITIATIVE program. The director, Rob Meyer, was additionally at the 2014 Woodstock Film Festival with his feature film A BIRDER'S GUIDE TO EVERYTHING. The film was shot locally and is now available on iTunes. "An interracial family struggles to adjust when they move from New York City to a small, predominately white town in Washington State." THE OUTCASTS recently opened in select theaters on April 14. The film is also now available on Comcast, Spectrum, DIRECTV and Amazon.com and Google Play. THE OUTCASTS, directed by Peter Hutchings, is a BCDF Production, and CEO Claude Dal Farra of BCDF is one of our advisory board members. In 2012, RHYMES WITH BANANA, directed by Joseph Muszynski & Peter Hutchings, had its world premiere at the Woodstock Film Festival. "After falling victim to a humiliating prank by the high school Queen Bee, best friends and world-class geeks, Mindy and Jodi, decide to get their revenge by uniting the outcasts of the school against her and her circle of friends." HALFWAY will have its premiere on SVOD April 21 through the Urban Movie Channel. HALFWAY had its New York premiere at the 17th annual Woodstock Film Festival where it won our prestigious Ultra Indie award. HALFWAY also received a 5 star review from Huffington Post, amongst other accolades. You do not want to miss this wonderful film. "A recently released convict finds himself trapped between his urban criminal past and his new life on probation as the only black man in a conservative white Wisconsin farming town." GROWING UP SMITH expanded nationwide on March 24. The film can now be pre-ordered on iTunes (May 2), Netflix (June 13), Amazon (June 13) and Amazon Video (May 2). GROWING UP SMITH has received outstanding ratings on Rotten Tomatoes. At the 2015 Woodstock Film Festival the film, then titled GOOD OL' BOY, won the Audience Award for Best Narrative. The 2017 Tribeca Film Festival (April 19 – 30) is screening several films that have strong ties to the Woodstock Film Festival and the Hudson Valley. The films that are being acknowledged this year include ACORN AND THE FIRESTORM, INTENT TO DESTROY, LOVE AFTER LOVE, THE LOVERS, MY FRIEND DAHMER, NO STONE UNTURNED, ONE PERCENT MORE HUMID, and THIRST STREET. Co-Founder and Executive Director Meira Blaustein attended this year's prominent festival. "I have been attending Tribeca off and on since it first launched back in 2002. The festival has changed and grown dramatically since, and this year I look forward to not only see some great films, many by friends and alums of the Woodstock Film Festival, but also to check out much of the Virtual Reality projects, and of course, meet with filmmakers and industry members. On top of that the Tribeca Film Institute has me working this year, and as such, I look forward to meeting with seven emerging filmmakers to discuss their projects in progress." - Meira Blaustein. A full list of this year's features can be found here; however, there are a few films that we would like to highlight because of their relations to the Woodstock Film Festival and the Hudson Valley area. INTENT TO DESTROY, directed and written by Joe Berlinger, will have tis world premiere in the Special Screenings section. Joe Berlinger is on the Woodstock Film Festival's advisory board. LOVE AFTER LOVE, with Russell Harbaugh as director and screenwriter, will have its world premiere in the US Narrative Competition category. This film was shot in the Hudson Valley. ONE PERCENT MORE HUMID, directed and written by Liz W. Garcia, will have its world premiere in the US Narrative Competition category. This film was shot in the Hudson Valley. It is with a heavy heart that we mourn the passing of Victoria Langling, a dedicated wife, mother, sister, daughter, and friend to all. She passed away Wednesday, April 5, 2017 surrounded by her loved ones at Northern Dutchess Hospital. Victoria was born in Miami, Florida on May 31st 1956. Upon moving to Woodstock in 1979, Victoria quickly became loved by all as an indispensable member of the community. She was an integral part of the Markertek and Tower Products family for over 23 years. She leaves us with a storied history and legacy of community service touching the lives of thousands of Ulster County residents in a very meaningful way whether it was feeding the hungry, improving our schools or promoting tourism. Victoria, in conjunction with Markertek founder Mark Braunstein, co-founded Daily Bread Soup Kitchen in Woodstock. She would add to this role by co-founding the Markertek Open Charity Golf Tournament, which has become an annual source of over $35,000 a year to benefit the Food Bank of the Hudson Valley. Victoria is an icon of community spirit. She was honored by the New York State Senate with a Woman of Distinction award in 2009. She served on the Advisory Board of the Food Bank of the Hudson Valley, Honorary Board of Ulster Literacy and was a PTA Jenkins honoree for her eight years of service at West Hurley Elementary. Victoria was a Legislative appointee and board chair for the Workforce Investment Board. She served on boards for the School to Work Partnership, the Children’s Annex Foundation and UC Food Pantry Consortium. She has been recognized by the YWCA, Onteora DECA and Onteora Teacher’s Association for community service. She has organized the ‘Donations of Dignity’ personal care drive over 10 years, co-coordinated the Volunteer and Community Showcase, was the Volunteer Coordinator for the Women’s Health & Fitness Expo, a volunteer of the Woodstock Film Festival since its inception, and more. Victoria was known for her heart and her humor. An avid enthusiast for making people laugh, spreading love and peace, and supporting all around her. For more, visit here. Coldwell Banker, Bethel Woods Center for the Arts, Mid Hudson Limousine, Sunflower Cafe, and Woodstock Yoga.